So, in my little quick bio, when I first started this blog, I had just started college after my 5 year military service. 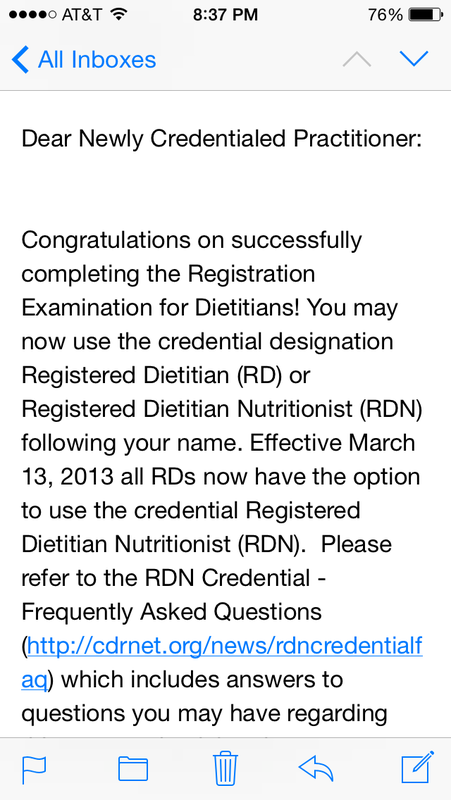 …I am a Registered Dietitian! Thanks again for all those who follow me and my little blog about my thoughts and travels.